Diese voll ausgestattete, geräumige (105 m²) 2-Zimmer-Wohnung für 5 Personen, die für Kurzurlaube oder Langzeitmieten geeignet ist, befindet sich im ersten Stock eines niedrigen Gebäudes, das Ende 2005 eröffnet wurde. Die Wohnung ist voll klimatisiert und mit Kabel-TV zur Verfügung gestellt, (42-Zoll-LCD-TV) DVD / CD-Player, ein im europäischen Stil Küche mit Full-Size-Backofen, Ceranfeld, Mikrowelle, Toaster, großem Kühlschrank und Besteck voll ausgestattete , Geschirr und Glaswaren. Der Balkon mit Blick auf den gemeinsamen Swimmingpool. Ein Kinderbecken ist ebenfalls vorhanden, sowie ein Fitnesscenter. Die Entwicklung wird professionell geführt, mit 24 Stunden Sicherheit. Zusätzliche Dienstleistungen wie Babysitting, Wäscherei, Stadtrund Ausflüge, Golf, Auto oder Fahrrad mieten etc, können arrangiert werden. Baan Puri bietet eine ruhige und entspannende Umgebung .... ein perfektes Heim-zu-Hause-Einstellung für längerfristige Besucher oder Bewohner, schöne Thailand zu genießen! Bitte beachten Sie, dass die Wohnung befindet sich im ersten Stock. Der Zugang erfolgt über eine Treppe. Das Anwesen verfügt nicht über Aufzüge (Lifte) und ist möglicherweise nicht für Rollstuhlfahrer geeignet. Ein perfekter Ort, um weg von den Massen zu kommen und in ruhiger Umgebung zu entspannen. Property was clean and well maintained. Staff on site were all quite helpful and friendly. The apartment was great. Large kitchen which was great when we wanted to prepare food at home. Very good location in between Bang tao and Surin beaches. It was about a 15 minute walk to the beach but we made friends with a tuk tuk driver who was more than happy to come pick us up when the kids didn’t feel up for the walk. Excellent place to go with kids - the pool was great and I think we used it every day. The restaurant on site was delicious and the property manager was very helpful when we texted with a request. I would stay here again. Thank you for posting your review. We are very pleased to know that you enjoyed your stay in our apartment and we look forward to welcoming you back the next time you visit lovely Phuket! Gardens and pool really well maintained.A proper cool swim is possible..not just a 'dip' pool.Apartment very clean and well stocked with anything you may need.Big bowl of fruit,plenty of water and a lovely bottle of wine are wonderful....means you don't have to rush to a shop on the first morning.Restaurant at the apartments offers excellent food at extremely reasonable prices.Exploring walks we found good cheap eating places fairly near...you did not have to walk into Bangtao..but even that walk only took14 mins.We have stayed here twice....and will definitely come to this place and this apartment again. Zeer net appartement, volledig uitgerust. Fijne communicatie met eigenaar en tussenpersoon. Regelmatig schoonmaak. Fijn ruim zwembad erbij, en restaurant waar je prima een hapje kan eten. Veel stranden in de buurt. Thank you for posting your very positive review. We're very happy to know that you and your family enjoyed your stay at our apartment and your holiday in Phuket. We hope that you'll stay at Baan Puri again on your next holiday to Thailand. (Thanks also for letting us have the English translation). Great property. Very friendly staff. Clean and serviced well. Everything was very good The living room furniture was only suitable for three people and not the four that were in our group. The kitchen was well eqiupted. A blender would be appreciated The pool was very nice. The walk to the beach was not the five minutes as advertised. It took 25 minutes. We would strongly encourage baan puri and neighbouring properties to find a solution to that. Perhaps purchase a small piece of land that would allow for a walkway. An open restaurant would also have good. It's important to provide your guests with access to large bottles of drinking water . We had to figure that out ourselves. The staff at the front Desk as well as the security people were very friendly and helpful. Thank you for your very helpful reply. We are very happy that you enjoyed your stay at our apartment. We're sorry that the walk to the beach is now by a longer route. We've amended our description to reflect that change. Your comment regarding drinking water is helpful..we will look into the possibility of having large bottles of water delivered to those guests who would like to have this service. Stunning, from 1st impression to last. Thanks so much for your very positive review of our apartment & Baan Puri Estate. 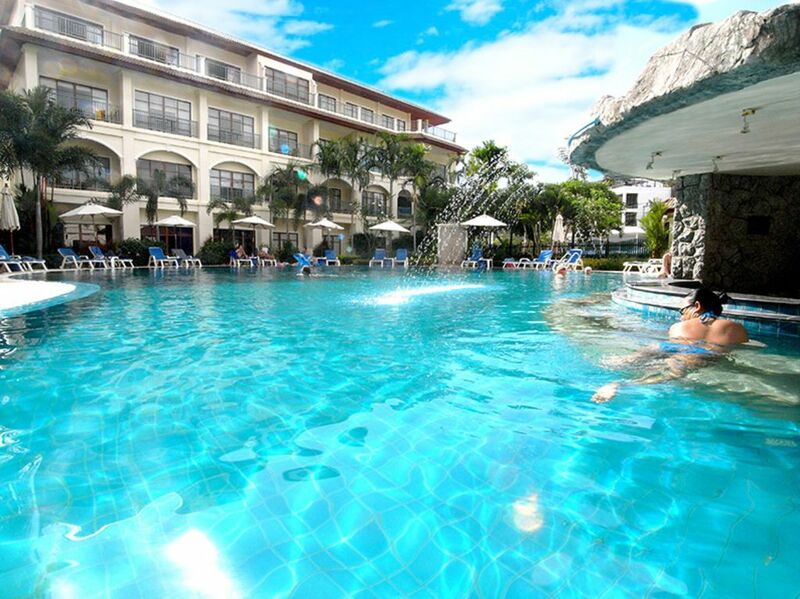 We try to make our guests feel at home & we're delighted that you & your family enjoyed your holiday in Phuket. We look forward to seeing you again at Baan Puri! Das Apartment liegt an der Westküste von Phuket, eine 25-minütige Fahrt vom internationalen Flughafen Phuket entfernt. Das Apartment befindet sich im Baan Puri Estate, einem Flachbau, der 2005 eröffnet wurde. Der Strand von Bangtao ist 20 Minuten zu Fuß entfernt, und eine 3-minütige Fahrt (oder 20 Minuten zu Fuß) bringt Sie zum Strand von Surin. Eine Auswahl an ausgezeichneten Restaurants mit lokaler Küche zu sehr günstigen Preisen sind in wenigen Minuten zu Fuß. Wenn Sie es vorziehen, Ihre eigenen Mahlzeiten in der Wohnung komplett ausgestatteten europäischen Stil Küche zubereiten, ist nur eine kurze Fahrt mit dem Taxi eine ausgezeichnete Supermarkt zu einem unserer Partner. Golfplätze, Reiten am Strand oder, für die Abenteurer, Paragliding, Tauchen und Jetski sind alle leicht zu erreichen. Patong, berühmt für sein farbenfrohes Nachtleben, ist 25 Minuten mit dem Taxi entfernt. WE CAN OFFER VERY COMPETITIVE DISCOUNTED RATES TO LONG-TERM TENANTS (3 MONTHS OR MORE) Kindly note that electricity and water are metered at the Apartment, and will be charged extra, according to the amounts used by the tenant.